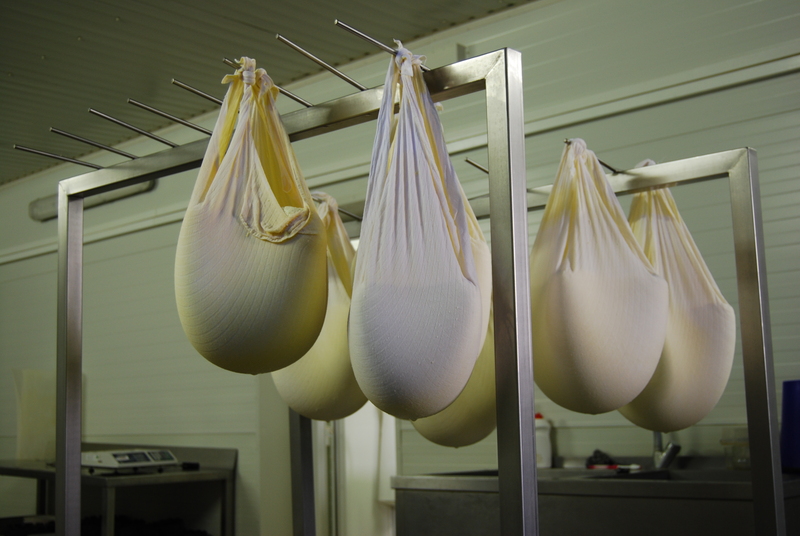 If you’ve already been to Slovakia, the chances are you have tried our korbáčik, parenica or oštiepok – the three cheeses that are still being made the traditional way at salashes and small mountain farms. Depending on the place and time of year, they can be more or less salty, but that’s exactly how most Slovaks like their cheese. The history of our cheese making goes back to the 14th century when Valachian people fleeing from Romania settled in the mountainous regions of what is now Slovakia. They were tough, hardy shepherds who had brought with them sturdy breeds of sheep fit to survive our harsh winters. The Valachians quickly blended with the native population who readily accepted their way of farming – and making cheese, among other things. I have already mentioned a book about Slovak cuisine we’re preparing for publication right now. Let’s have a quick look at the second chapter that’s just being laid out. It shows the art of traditional cheese making in Slovakia, and although the best pictures have been reserved for the book, the ones below will give a good preview. Whether it is korbáčik, parenica or oštiepok, the traditional techniques use the pliability of sheep’s or cow’s milk cheese at temperatures between 80 – 90ºC. The hot cheese is pulled out into long threads and plaited, rolled into small drums, or simply placed in hand-carved wooden moulds. 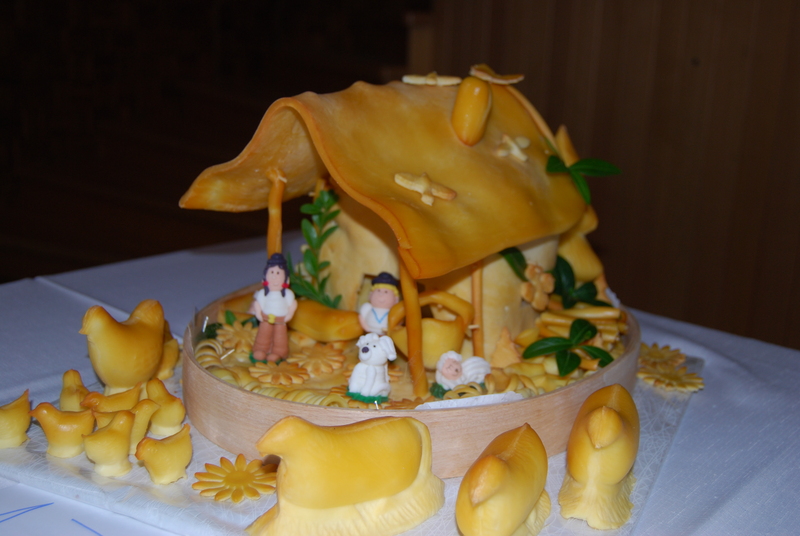 There are annual competitions in some mountain villages to award the best cheeses and the most imaginative works made of them. 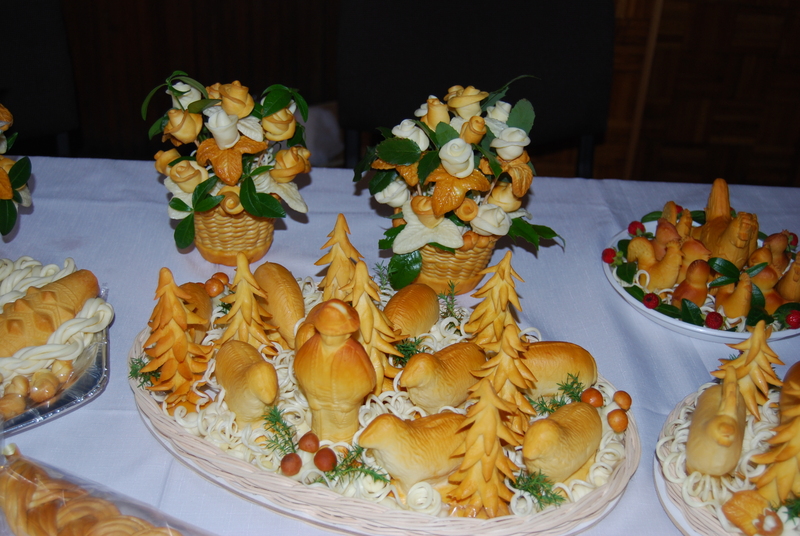 On top of their attractive look, these little cheesy figures and ornamental flowers are also pretty edible. Although sheep’s milk is three times as expensive as cow’s milk, it’s also much more nutritious and easier to digest, not to mention its delicate creamy consistence and strong antimicrobial effects. It’s no wonder that the demand for sheep’s milk cheese has soared in the last decade, and our sheep farming is thriving again after a long spell of decline. You may find more shepherds like those in the picture below, enjoying the hard work at a salash (a wooden cottage close to the pastures) and the scenic beauty of our mountains. Wow. I thought at first they were little sculptures – certainly didnt think of cheese.